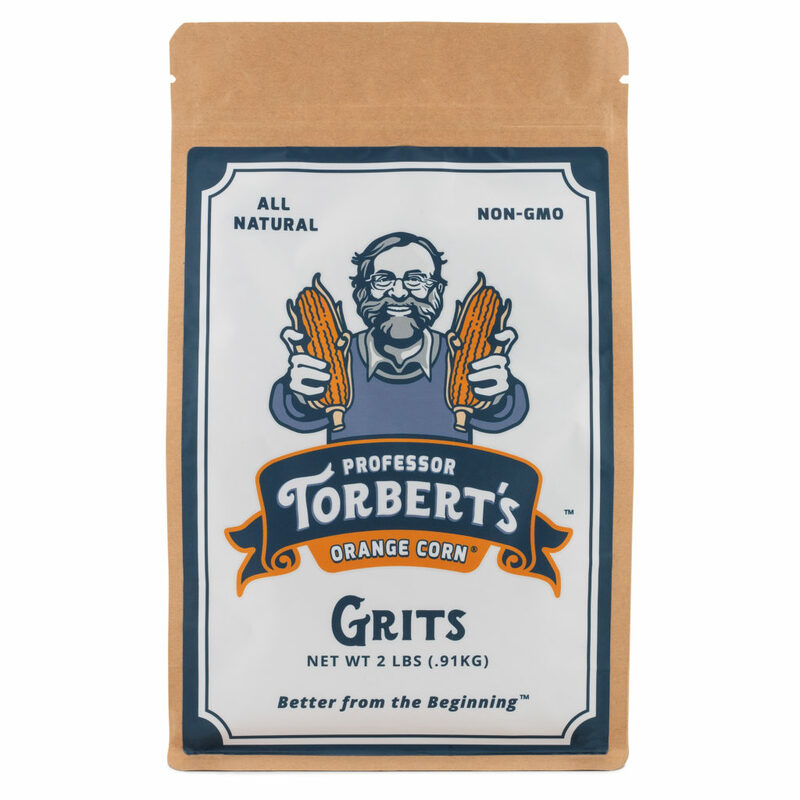 Two pound bags of Professor Torbert’s Orange Corn Grits are now available for purchase on amazon.com. Professor Torbert’s Orange Corn was developed by Purdue University Professor Torbert Rocheford as a part of a global biofortification effort to alleviate nutritional deficiencies in African countries. Non-GMO: This corn was bred the old-fashioned way. Hand selected year after year for one purpose: to make it the best tasting, most nutritious corn it can be. Nutritious: The deep orange color comes from increased levels of carotenoids, which are natural plant pigments that give many fruits and vegetables their yellow or orange color and their well known health protecting reputations (think carrots!). Delicious: Its easy to see that Professor Torbert’s is not your average corn, but just wait until you taste it! Some say nutty, some say buttery, either way they all agree that Professor Torbert’s Orange Corn has a rich flavor and creamy texture like no other. So, for a corn that your taste buds will celebrate, choose Professor Torbert’s. Hand selected year after year for one purpose: to make it the best tasting, most nutritious corn it can be. Now, from seed to table, we do everything we can to preserve the integrity of a product that’s great from the start. That’s why we say it’s “better from the beginning.” For more information, visit our website at professortorberts.com.